In turn, Planned Parenthood asked a federal court to restore its Medicaid funding. Thursday’s ruling—which related to a jurisdictional issue in that case—is especially striking for its numerous rebukes of Planned Parenthood. Judge Edith Jones, a Ronald Reagan appointee, delivered the opinion. Perhaps the most noteworthy of the decision’s reprimands is a graphic depiction of post-abortion fetal remains taken from a Center for Medical Progress video on the fourth page of the opinion. A small arm is visible in the picture. Texas cited the manner in which Planned Parenthood disposes of fetal remains as one reason for terminating its Medicaid eligibility. In another instance, the decision all but accuses Planned Parenthood of breaking federal law banning partial-birth abortions. The ruling highlights a Center for Medical Progress video in which an administrator called Dr. Tram Nguyen said doctors at one facility could evacuate an intact fetus—thereby breaking federal law—provided they sign a form that they did not “intend” to do so. Such procedures allow researchers to recover organs like the thymus or the liver. The panel also dismissed Planned Parenthood’s claim that the Center for Medical Progress videos were “deceptively edited,” a soundbite that redounded across the press after the tapes first appeared. Finally the panel accused the judiciary of politicking on abortion cases. Ordinarily, providers like Planned Parenthood must challenge Medicaid termination decisions in an administrative forum and state court before seeking a federal court’s intervention. By allowing Planned Parenthood to skip directly to federal court—as the trial court did here—the 5th Circuit said judges are engaging in ideological favoritism. The federal appeals courts are divided over the answer to that question. Though the Supreme Court generally intervenes when the circuits disagree over the same question of law, the justices denied review in a related controversy from Kansas in December, drawing a vigorous dissent from Justices Clarence Thomas, Samuel Alito, and Neil Gorsuch that accused the court of playing politics. 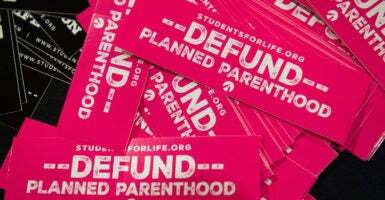 However, the 5th Circuit gave Texas a partial victory, finding the trial court assessed Planned Parenthood’s request for an injunction under the wrong standard. The panel lifted the injunction, and ordered the lower court judge to reconsider Planned Parenthood’s request under a different standard that is more accommodating of Texas.